Israel has launched more than 200 air strikes against Iranian targets in Syria over the past year and a half , a senior Israel official revealed. The officer in the Israeli defence force (SDF) said on Tuesday the air raids included the dropping of about 800 bombs and missiles on mostly arm shipments as well as military bases and infrastructure. Later on Tuesday, Israeli Intelligence Minister Israel Katz confirmed the report, calling Iran‘s military presence in Syria a “red line”. “Only just now it was published – in the name of military sources, so I can quote it too – that in the last two years Israel has taken military action more than 200 times within Syria itself, Katz said. In August 2017, the outgoing chief of Israel’s air force told Haaretz newspaper that his corps had carried out “nearly 100 strikes” in Syria. That left another 100 in the time since, according to the official Israeli accounts issued on Tuesday – roughly two strikes per week. Israel, which monitors neighbouring Syria intensively, has long alleged that Iran came to assist the Damascus government, in part, to set up a permanent garrison there, effectively forming an extended anti-Israel front with Hezbollah in Lebanon. Iran, Israel’s arch-foe, has been a core supporter of Syrian President Bashar al-Assad throughout the seven-year-old war, sending military advisers as well as material and regional Shia armed groups that it backs. 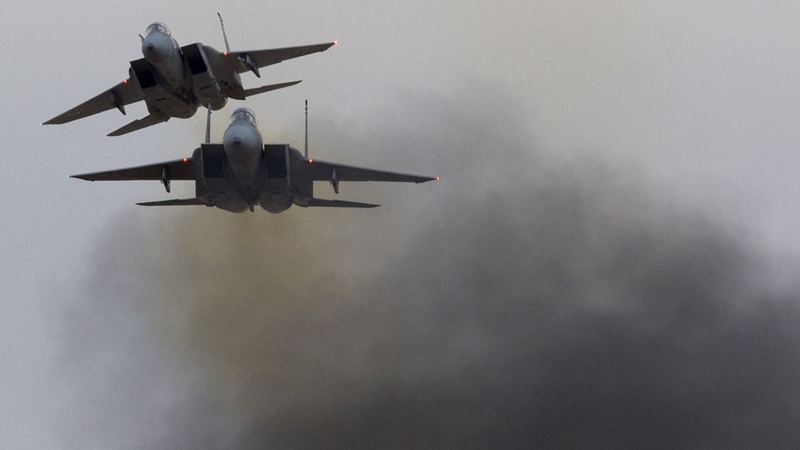 Israel’s strikes on Syria have been largely ignored by Russia, Syria’s big-power backer. On Monday, Israeli Defence Minister Avigdor Lieberman signaled that the country could also attack suspected Iranian military targets in Iraq, where Reuters has reported the deployment of ballistic missiles by Tehran. Briefing reporters on Tuesday, a senior Israeli military officer who requested anonymity said that Israel believed Iran was using Iraqi territory as a conduit for missile transfers to Syria. WATCH: Inside Story – Are Israel and Iran inching closer to war?